Hello again! I’ve been away as I had an accident in June that kept me off my feet for two months and I’ve only just got my baking mojo back. 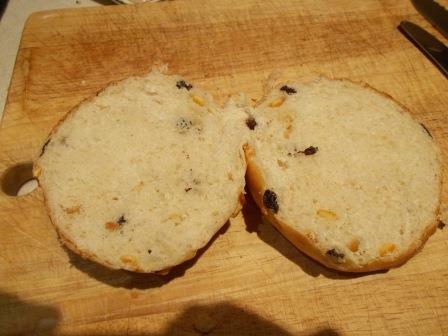 You’ve missed the tomato, parmesan and basil bread, some fruit cake and a huge home-made Jaffa cake I’m afraid, but today I’ve made Dan Lepard’s Top Tea Cakes from Short and Sweet. 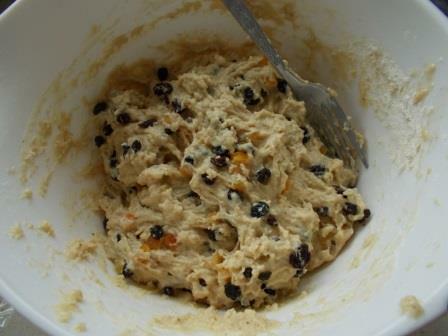 There’s a recipe from the Guardian over here, the main differences are in the kneading and resting times and the number of tea cakes you make. 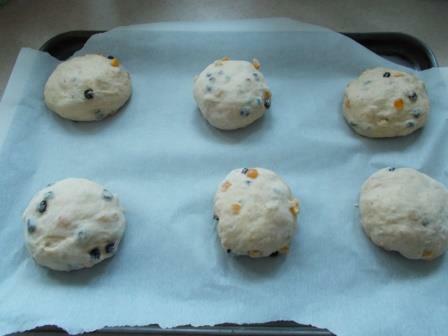 This is an enriched recipe with lots of fruit, sugar, syrup, eggs and, instead of butter, white chocolate. So what’s not to like? I’ve not used white chocolate for the fat before, but the recipe says it will stay softer than using butter. 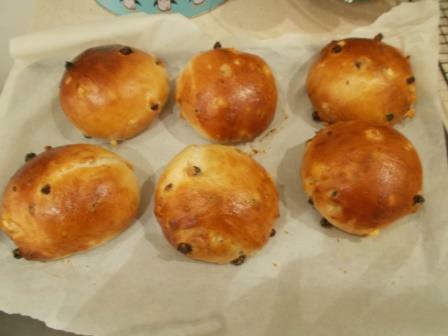 I used fresh yeast instead of packet dried yeast. The recipe calls for ingredients to be added to hot milk one after the other which cools the mix down to a usable temperature within the 15 minutes that you leave the yeast to bubble in some water with some flour. 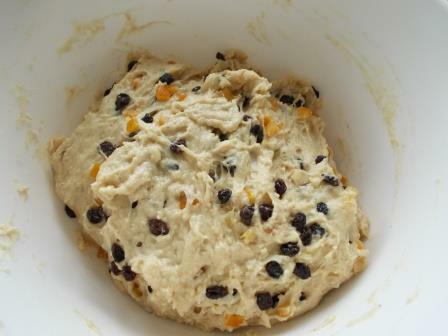 Pictures below show the various stages of working the dough. 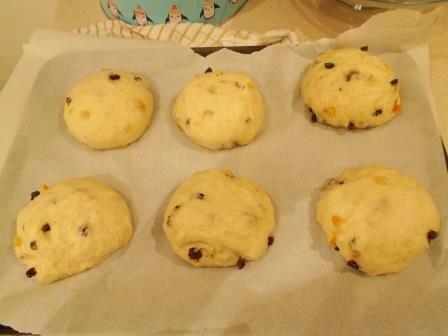 And I went for a tray of 12 tea cakes, not the 9 or 14 suggested by the two recipes. Going for 9 would make them humungous!